When Bernice first got in touch I had the biggest smile on my face, and I still have that big smile on my face when I look back through their gallery. 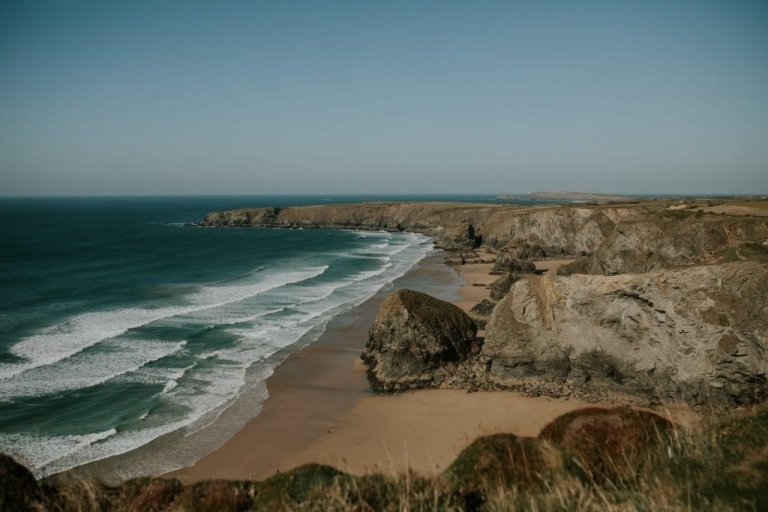 Bernice and Wade, both based in South Africa had never visited Bedruthan Steps but after watching Poldark fell in love with the Cornish landscape and decided on having their intimate wedding on the cliffs over looking the iconic jagged rocks below. 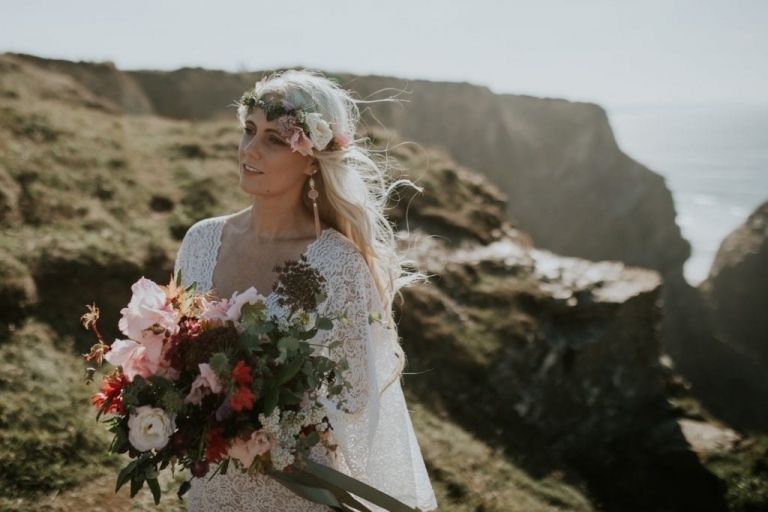 This Cornwall Elopement and intimate ceremony on the cliffs was everything I imagined and more. Perfection on every level, the location, the couple, the style and the suppliers. I asked what Plan B was if it rained, If I recall she said ‘ I was kinda hoping it would have rained’ as she liked the moodier skies for couple portraits. So… unfortunately, we were blessed with the warmest and sunniest of autumnal days, the day after the wedding there was a storm warning in place with gale force winds so we were probably quite lucky or we may have all blown off the cliff had the storm arrived a day earlier. We spent a couple hours together after the ceremony on the beach and walking along the coast path. The tide was coming in very very fast and the lifeguards were not impressed with us being on the beach. I had to think quick and we only had about 10 mins on the beach before we may have been engulfed by the incoming tide but I think we all worked well together in such a rush. Bernice and Wade went above and beyond to help me capture the perfect shots all with the biggest smiles on their faces. Often couples expect magic to be preformed by the photographer alone, but personally its a joint effort and couples prepared to climb maybe a few rocks higher, or stand just a little closer to the incoming tide etc are the ones that get the images of their dreams. We then retreated to the cliffs! By this time Bernice was soaking wet and her dress must of weighed twice what it did when she first arrived with all the extra water and sand. 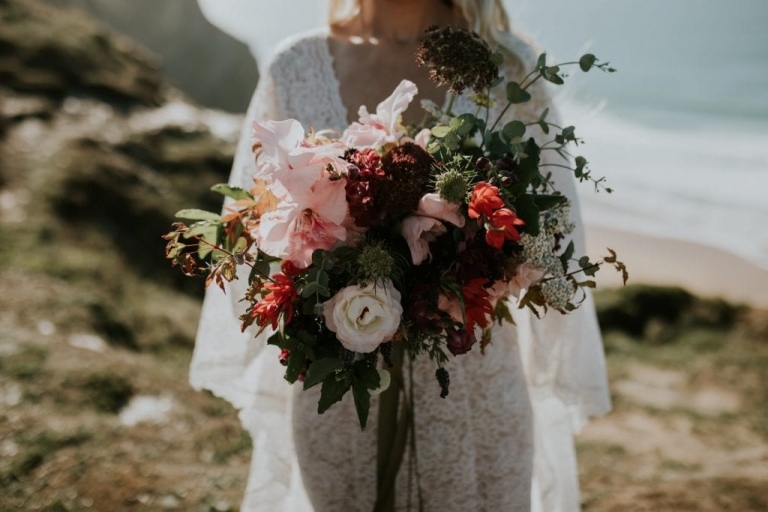 Clare from Cornish Cutting Garden is one of my all time favourite wedding suppliers. I have known Clare for many years and even photographed her son’s wedding a few years back. She is just a true creative and a wonderful soul. I love her floral creations, I love the way her mind processes stuff and each bouquet is a masterpiece! Cornish Celebrants well it is no lie that I love these guys so much. I was so happy to hear they were doing the ceremony, they are so much fun to have around on the day and make each wedding so personal and unique. I still giggle now when I think about how windswept Nicola looked, her hair blowing everywhere whilst she was doing the ceremony (Those pictures Im not allowed to share hehe). 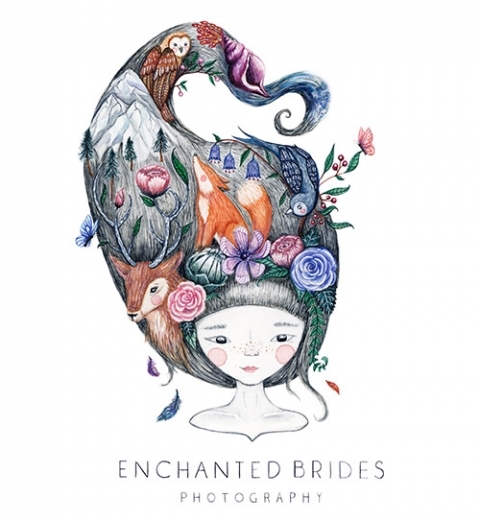 More elopements like this please! 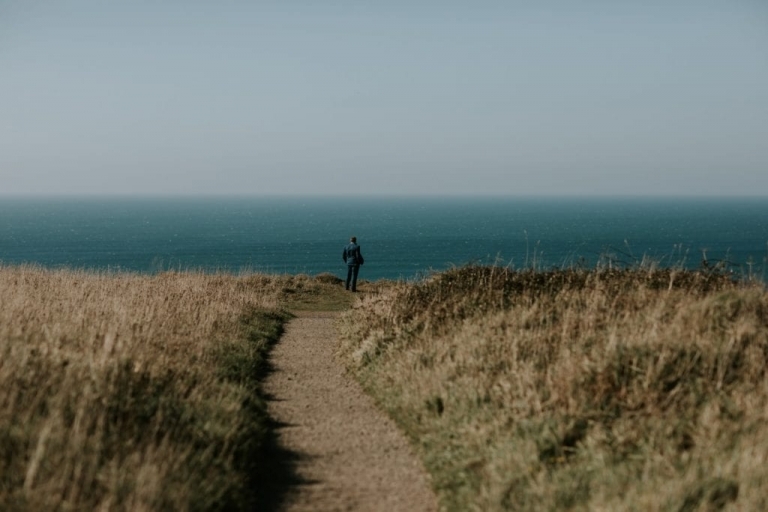 Cornwall has the most gorgeous, dramatic and rugged coastline! So if you live outside of the UK and are thinking about it, do it, you wont be disappointed, even if it rains.